A book sharing an artist’s psychological struggles and passion for dance has been named one of the best books produced in the Midwest in 2013. 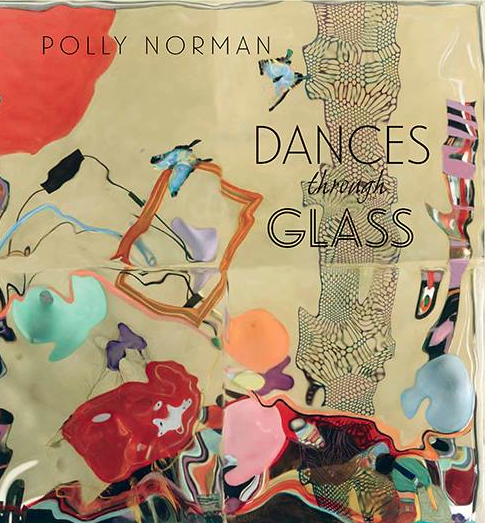 Dances Through Glass: A 25- Year Retrospective of Work By Photographer and Painter Polly Norman (AVANT Circle, 2013, $49.95) is a finalist in six categories of this year’s Midwest Book Awards competition. Finalist names were released on April 12. Winners will be recognized at the 24th annual Midwest Book Awards Celebration. This year’s gala will be held the evening of Wednesday, May 14 at the Olson Campus Center at Luther Seminary, located at 1490 Fulham Street in St. Paul. “I am thrilled Dances Through Glass, a book that reflects my life's work and passion, has received such honors!” exclaimed Norman. Copies of Dances Through Glass are available for purchase at Barnes & Noble and Amazon.com. The book retails for $49.95. Learn more about the book at http://www.pollynormanart.com/book. 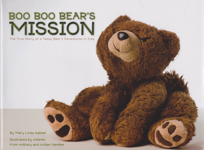 April is The Month of the Military Child and our national radio tour to promote Mary Linda Sather's Boo Boo Bear's Mission: The True Story of a Teddy Bear's Adventures in Iraq was a huge success. RMA Publicity secured interviews in ten cities across the country. The tour kicked off Mar. 26 with an interview on the show, The New Urban Unlimited, on radio station KKNW AM in Seattle. On April 2, Sather was interviewed on WDUN-AM in Atlanta, WFIN-AM in Toledo, Ohio, WTKF-FM in Greenville, N.C., and Daybreak USA, a nationally syndicated radio show that runs on the USA Radio Network. 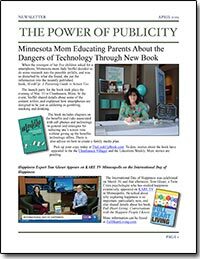 On April 3, the author was interviewed on WWWI-AM Minneapolis. On April 4 interviews were done on WDPN-AM in Cleveland, Ohio, and WXGM-AM in Norfolk, Va. On April 9 she was interviewed via Skype on WTVY-TV in Dothan, Alabama. On April 10, she was interviewed on KMA-AM in Omaha. Her 10th and final interview took place the morning of April 11 on KLGR-AM in Redwood Falls, Minn.
Afte the tour concluded, Sather had this to say, "WOW! What a great campaign! You opened a whole new world for me with the radio interviews. " Boo Boo Bear's Mission is the story of how the author's son and granddaughter stayed connected during the second of his three deployments to Iraq. The illustrations for the book were drawn by children from military and civilian families. In addition to sharing a touching story, the book also contains a resource guide that describes specific ways caregivers can support children who are experiencing a deployment separation. 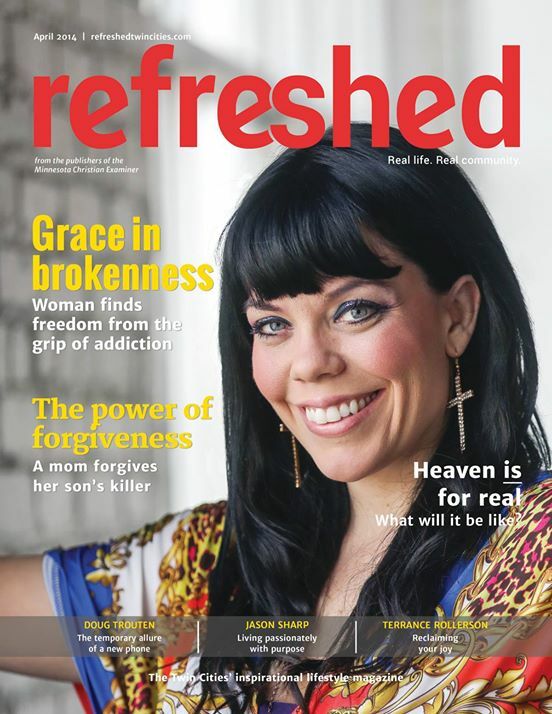 Amber Leone Murphy, author, Can't Keep a Sober Girl Down and Can't Keep a Co-Dependent Girl Down, is featured on the cover of the April 2014 issue of Refreshed, a new magazine by the publishers of the Minnesota Christian Examiner. The magazine hits newstands in the Twin Cities this Friday, April 4, 2014. In the article, which RMA Publicity arranged, Murphy shares the story of the role her faith played in her recovery from alcohol addiction, and how she has made it her mission to help others. 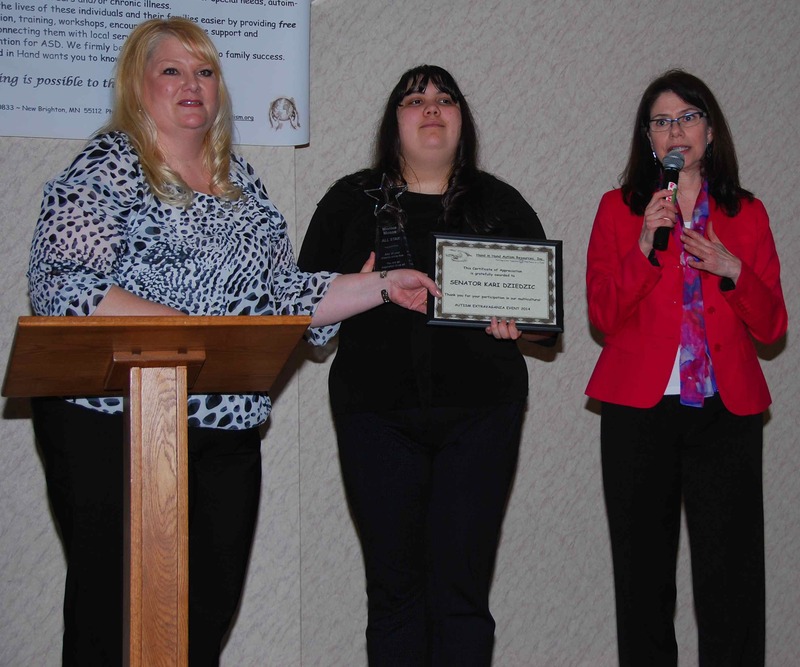 A great kickoff event for Hand in Hand Autism Resources, Inc., in the Twin Cities on Mar. 30 at Cedars Hall in Northeast Minneapolis. About 50 people attended the event, which featured representatives from several Twin Cities organizations that work with children who have autism, including The Pacer Center, St. David's, Autism Minnesota and TACA (Talk About Curing Autism). Hand in Hand Autism Resources will work with these organizations and others to help connect people in need of services with the organizations that provide them. The organization's focus will be on underserved populations in the Hmong, Somali, Arabic and Spanish speaking communities. In additon to the tables where plenty of information was available for parents, there were also games and activities for the kids, and copies of the new book, Monica’s Silent World, available for purchase. Monica's Silent World is a children's book that explains how a child with autism perceives the world around her. The book was illustrated by Monica herself who during the event was presented with a special award by State Senator Kari Dziedzic. RMA Publicity arranged media coverage from WCCO, FOX 9 and KSTP Television in Minneapolis, The MN Sun Focus and Hmong Today also ran stories about the event and organization. More information about the book can be found at www.monicassilentworld.com. Mattingly Appears on Sacramento's Live Wire!